Uncover a murder most foul by revealing six story elements that together describe the deadly deed and spell the word MURDER. But take care that your opponents can't do the same -- take their letters, counter their actions, or call on a waiting row to influence the murder before they do! 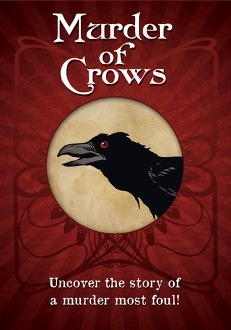 Murder of Crows is a fast-paced quick to learn card game.